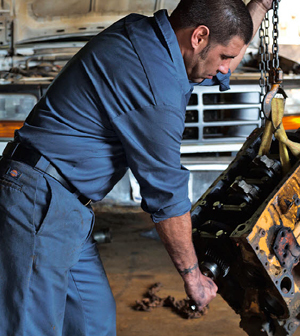 Learn more about what makes Dickies clothing unique. 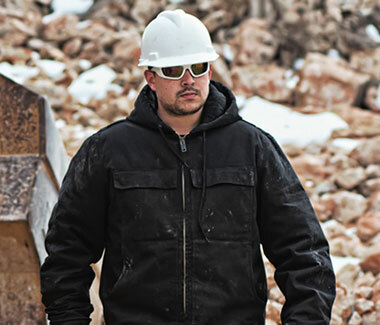 The technology built into our workwear sets the industry standard in comfort, strengh, and durability. 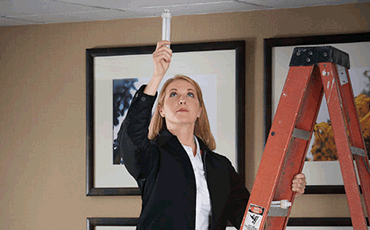 Learn more about the technology behind how we do this. Work Cool Technology features specialized yarns or finishes allowing a cooler fabric sensation when exposed to the sun. The fabrics and styling features include evaporative cooling for moisture transfer and dissipation for regulating body temperature. There are mesh panels in the tops and shirts to provide circulatory cooling. The shorts are lightweight, breathable and durable. All styles with Work Cool Technology provide UPF protection. 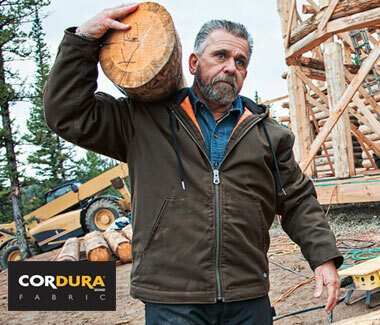 Cordura® offers the comfort you want and the durability you need. Fabric is constructed using high-tenacity fiber technologies providing excellent comfort and more tear and abrasion resistance than 100% cotton. A patented, unique blend of synthetic and natural fibers that accelerate the water release rate from the fabric. Rather than just spreading moisture across the surface, the drirelease® fabric pushes water and perspiration to the outside of a garment, releasing it into the air faster than any other performance fabric on the market. And with FreshGuard® embedded into the drirelease fabric®, every performance blend we offer delivers odor control as well. 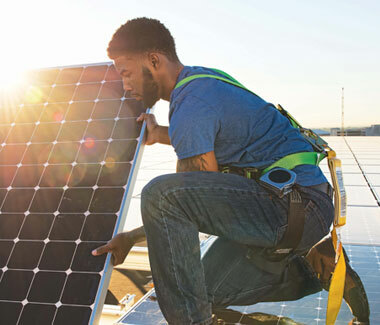 As part of Dickies’ advanced moisture-management system, DWR – Durable Water Repellent guards against wet weather by preventing the outer layers from becoming saturated. A special water repellent finish is applied to the fabric, which cause water to bead and roll off instead of soaking into the fabric. DWR helps protect the fabric’s breathability keeping you warm and dry. 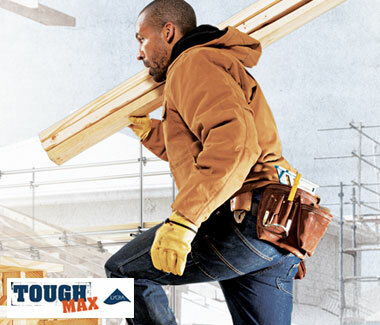 Tough Max® is three times stronger and longer lasting than standard denim. Made with specialized polyester wrapped LYCRA® yarns, this tri-blend fabric offers superior flexibility and exceptional abrasion resistance. 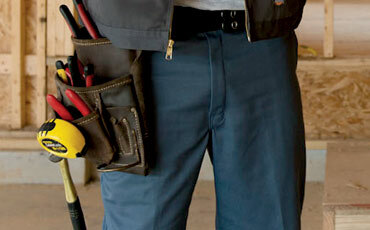 They are tough, but flexible denim for a hardworking guy on the move.